This re-style come courtesy of my FAB and thrifty co-worker Kristi! She has great crafting skills and a great vision for the unexpected. And of course Kristi is a loyal follower! So a shout-out to her for “thinking green” and for allowing us to highlight this great re-do! First off, this re-style is a jacket that came courtesy of Kristi’s dad’s naval days. 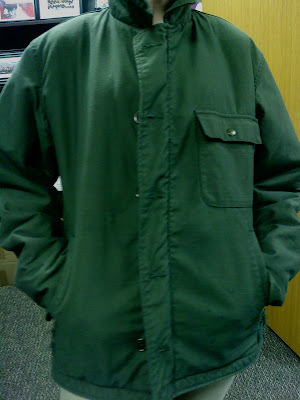 He wore it in the 70’s while serving in the Navy (how totally cool!). And Kristi saw lots of potential. Thank you Kristi for this great inspiration, who knows maybe I will need to go digging in Thrifty G-Pa’s (Lori’s Dad) Army gear! While cleaning out closets at my dad’s house last weekend, I found this stained military jacket from the 70s! I thought, “This would be so cute if it didn’t have a ton of paint stains!” I wanted to try to resurrect the jacket despite the stains, so I first threw it in the washing machine after spraying on some OxiClean! Unfortunately, it came out looking pretty much like it had before: cute, but stained. On the drive home, I decided to try to scrape off some of the paint stains with a little Swiss Army knife. Surprisingly, that worked wonders! It took me quite a while, but I finally scraped off all the dried paint—without damaging the jacket in the least. The next step was to go out and buy some dye to cover up some discolorations and other small stains. 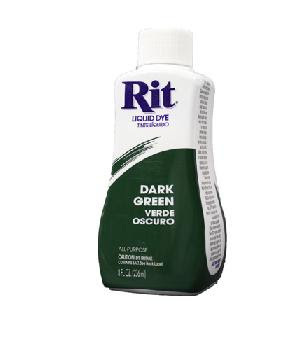 I chose Rit Dark Green liquid dye. We used the washing machine method with hot water, salt, and the liquid dye. We left the jacket in there for about an hour (following the instructions on the dye) and then dried it using high heat in the dryer. ﻿﻿﻿﻿After I took it out, I cut off some stray threads and it actually looks as good as new! 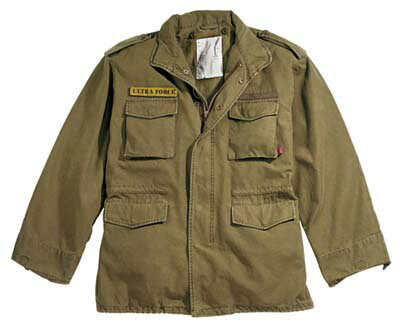 This is military chic! Here's the after and it looks like new! Thanks again Kristi for this great re-style. And of course…this re-style is GREEN…perfect for this week of LUCK! Awesome! I dyed several of my black shirts with RIT--they were in great shape, but had some unsightly discoloration under the arms. They turned out great and looked new!